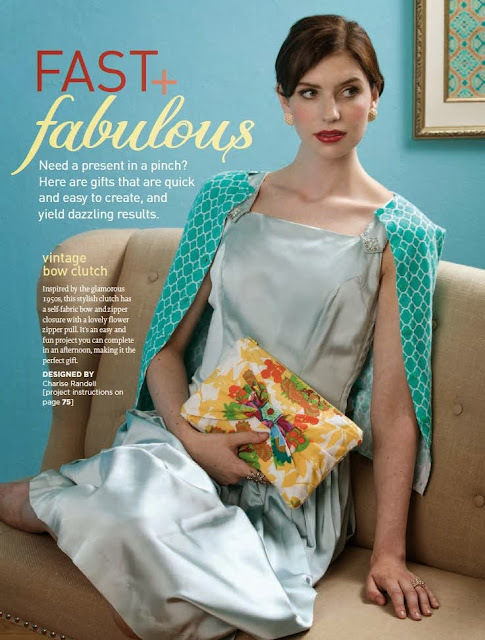 The latest issue of Stitch magazine ~ Stitch Gifts 2014 ~ has been on the news stands for a few weeks. It is a great issue with some wonderful projects for gift making. I am excited to have two different projects in the issue! My vintage bow clutch is a perfect easy gift to make for a friend or family member. Inspired by the glamorous 1950’s, this stylish clutch has a self fabric bow. 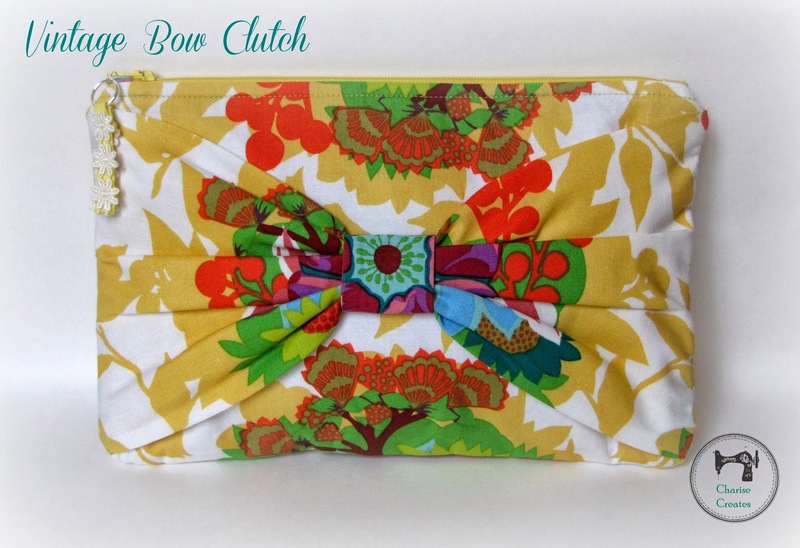 The clutch measures 7” tall x 11” wide. 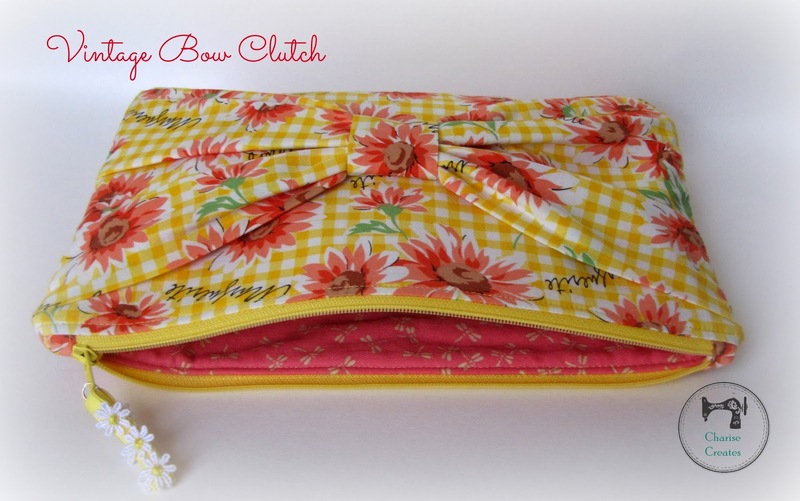 The zipper pull is made from 3/8” ribbon adorned with embroidered flower trim. I made this one with a favorite japanese fabric print. I've listed the samples in my Etsy shop! Perfect for gift giving! I use my proto type sample to hold my mini I-pad. 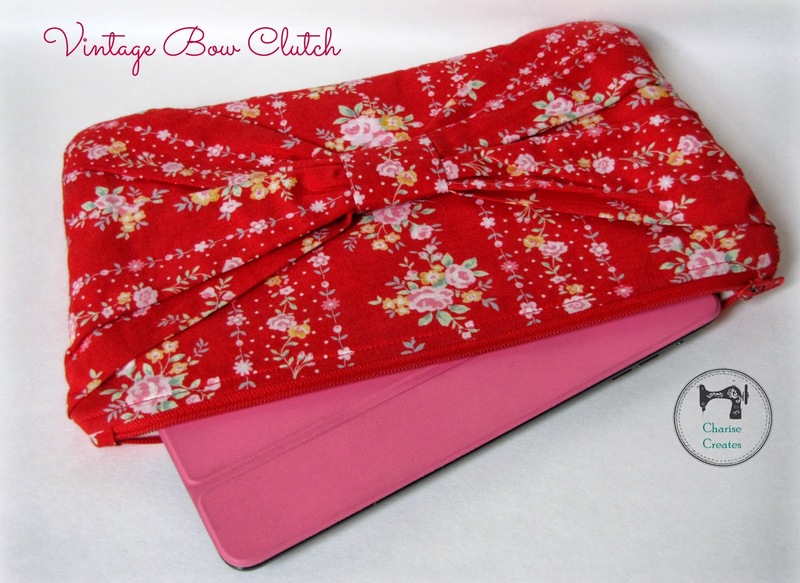 So....you can also use it as an i-pad holder as well as a stylish clutch! 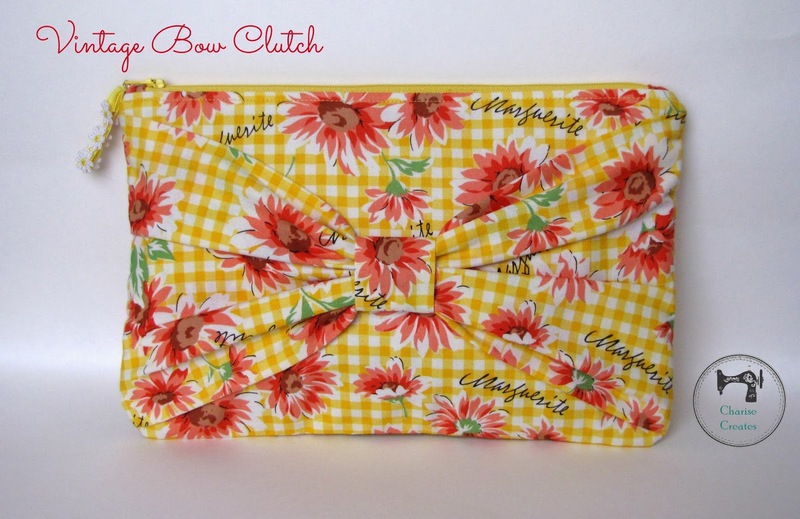 Love the yellow with orange flowers ~ sweet clutch! 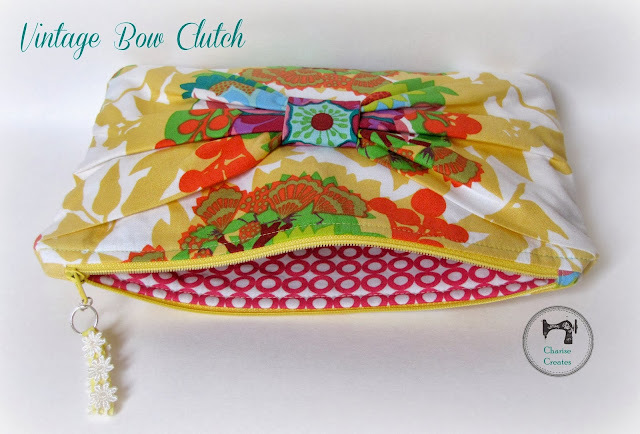 The clutch pattern is great. 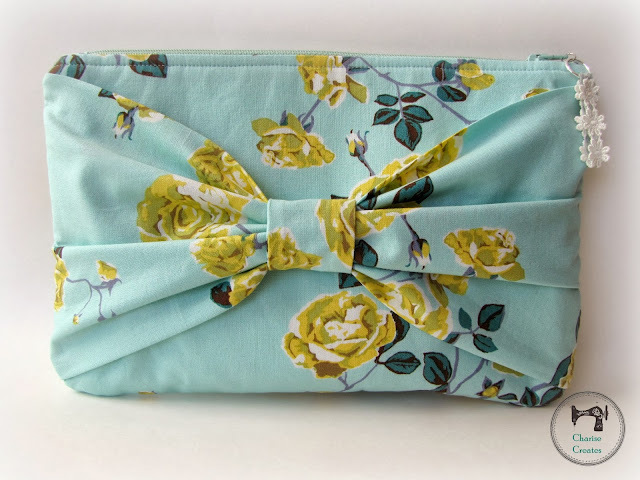 I love the fabric combinations you used.